A new trailer for ‘Amazing Spider-Man 2‘ dubbed “Rise of Electro,” has been unleashed onto unsuspecting web surfers, featuring brand-new footage from Andrew Garfield‘s next outing as the web slinger. 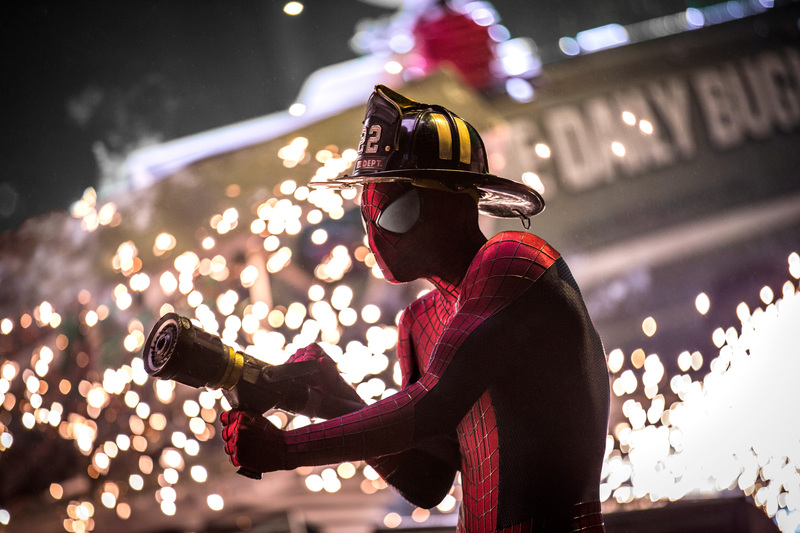 The new ‘Amazing Spider-Man 2′ trailer is mostly about Jamie Foxx‘s Max Dillon and his rise as Spider-Man’s most powerful onscreen villain yet, Electro. Though, we know too that our hero will also be facing both Paul Giamatti‘s Aleksei Sytsevich (who suits up as the mechanised Rhino) and Dane DeHaan‘s Harry Osborn/Green Goblin. But what “sinister” activity is really going on underneath this massive team-up? It’s great to be Spider-Man. For Peter Parker, there’s no feeling quite like swinging between skyscrapers, embracing being the hero, and spending time with Gwen (Emma Stone). But being Spider-Man comes at a price: only Spider-Man can protect his fellow New Yorkers from the formidable villains that threaten the city. With the emergence of Electro, Peter must confront a foe far more powerful than he. And as his old friend, Harry Osborn, returns, Peter comes to realise that all of his enemies have one thing in common: OsCorp. This entry was posted in Movies, News, Trailers, Video and tagged Aleksei Sytsevich, Amazing Spider-Man, Andrew Garfield, Elctro, Electro, Emma Stone, Green Goblin, Harry Osborn, Jamie Foxx, Marvel, Movies, OsCorp, Paul Giamatti, Peter Parker, Rhino, Sony Pictures, Spider Man, spider man 2, Trailers. Bookmark the permalink.